The superheroes of the DC Universe get the 4-inch plastic figure treatment! This DC Superheroes 4-Inch Statue Set C 3-Pack is the perfect thing for DC Comics fans that want to spruce up their desk with some superhero flair. 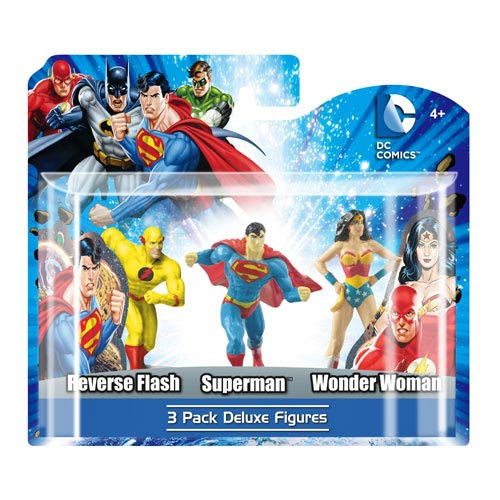 Set C features Superman, Wonder Woman, and Reverse Flash - all measuring 4-inches tall. Ages 4 and up.